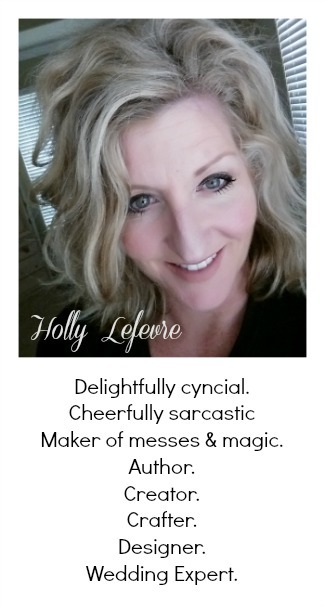 504 Main by Holly Lefevre: A Quickie Announcement! I am getting ready to head to L.A. for the Craft and Hobby Association Show (CHA) and have underestimated how much I actually do around this house! My MIL is coming to help my hubby and Joe and Jules promise to be good (and they will be) but man oh man - I have a lot of stuff in my head that no one else around here knows...so I am busy getting this house in order so that all is well when I return. That said...here come the announcements! 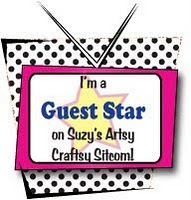 I am a Guest Star at Suzy's Artsy Craftsy Sitcom today. Just Suzy and Tom Selleck and I. I wore my special Tom Selleck button all day in honor of the occasion and if I disappear, Tom and I have gone out for coffee! See ya! I will do Tickled Pink like I did last week...the linky will go up at the usual time late Thursday night, but the spotlights will be posted over the weekend. Some crafts and DIY will be popping up...I have been busy finishing up about 7 new projects! I will be blogging about all the fun at the CHA! I am getting a whole new look here...so watch out...it is FABULOUS! See ya later! I am packing and hanging with the kids and giving them lots of extra hugs...instead of blogging! Could this be the beginning of a more balance blog/life...nah! Ok, I hate you JUST a little right now. Not to worry, I'll get over it. Wow - you have a busy few days ahead! Enjoy the show. Looking forward to your new craft projects. That interview was great and I learned a lot about you, even better! Hope you have a great time at the show and can't wait to see your next craft projects. Have a great time and I can't wait to see everything you have been doing! How exciting Holly! Have a wonderful time, then come back and tell us all about it so we can live vicariously through you! FUN! 2 of my local girls are going to CHA, as well... I hate travel or else I'd probably claw my way onto the plane with them. Have a great time Holly! Can't wait to hear abou the show! You are busy my friend! Have an amazing time at CHA, I can't wait to hear all about it! Very exciting about the blog makeover as well! They are always so much fun! She's another DIYClub gal and has a nice blog with lots of projects. She also has a weekly linky party called Tickled Pink. I will only admit to a small amount of CHA envy ;)...Hope you have a lot of fun! Oh My! You will have SO much fun! Hi Holly...WOW two weeks in a row I made it to your partay! Something must be wrong with me. I look forward to seeing your blog revamp. I enjoyed meeting you today at CHA. Thanks for sharing your tips on the thickening medium. Can't wait to give it a try now that I know what it can do! Nice interview. Well done, Holly. So the potential prom date wasn't John Vanbiesbrouck?